Only two months after buying Social Gaming Network (SGN), MindJolt, the game distribution company led by MySpace founder and former CEO Chris DeWolfe, is churning out its first mobile social game today with the launch of SGN’s Mini Café. As its name indicates, the free iOS app allows gamers to design, decorate, and manage a restaurant. As chef and manager on Mini Cafe, you cook dishes, choose your cafe’s decoration, and try to build a following of loyal customers. 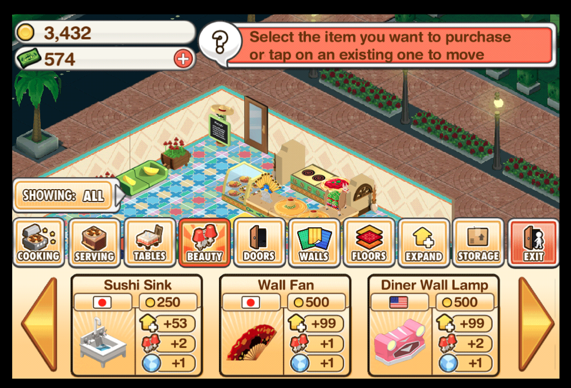 The social element of the game comes in when you invite your Facebook friends to visit your cafe, and they can then decide whether they like your restaurant. From the app itself, you can share a picture of your café on Facebook, or choose to post your achievements to your wall. SGN says that as you gain a better reputation, you are able to unlock more virtual items for the cafe. The game is similar in a lot of ways to SGN’s Mini Tycoon Casino, which allows you to build and run a 5-star casino. As we’ve written in the past, MindJolt bought SGN to create a cross-platform game distribution empire, and SGN brought a solid set of mobile titles and technology and a number of talented engineers. SGN’s founder Shervin Pishevar recently announced that he is joining Menlo Ventures as a partner and MindJolt appointed seasoned mobile vet Ulf Waschbusch as the new head of SGN’s social mobile game development studio. 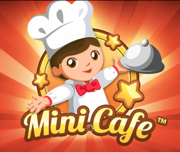 Mini Cafe is just the first of 5 to 6 mobile titles that SGN will release in the next six months, says MindJolt COO Colin Digiaro. While Mini Cafe is available only for iOS, the company expects to develop companion Android app for all of its mobile games in the future. So why iOS first? Digiaro explains that the majority of SGN’s userbase and installs are on iOS devices so it made sense to target these users initially. As for how SGN’s games will leverage MindJolt’s distribution platform, Digiaro says that across all the games that MindJolt operates, the company will recommend mobile games to players who have similar interests on Hallpass games (another MindJolt buy) and vice versa. Right now the company has 25 million unique monthly visitors across all its games and it plans to leverage this traffic as a distribution platform, he explains. The mobile and social gaming space is heating up with Zynga, EA, and a number of international players all vying for traffic. For now, the company, which is profitable, is not planning to raise any more capital but does plan to make more acquisitions in the coming year to expand reach, add game titles and technology talent.